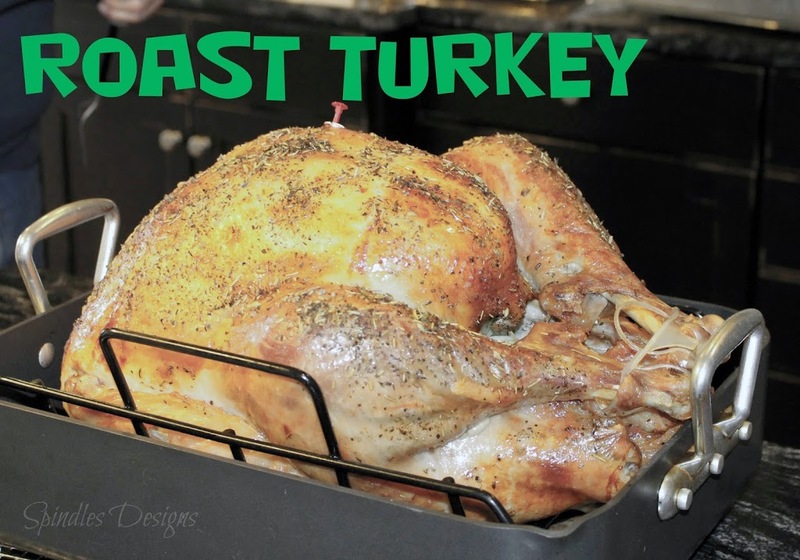 There is nothing quit like the smell of a turkey roasting in the oven. This time of year with the holidays it seems to have an extra good smell. I think it is part of the ambiance of the season. This recipe has been developed over several years continually trying to perfect it. This year I think we nailed it. 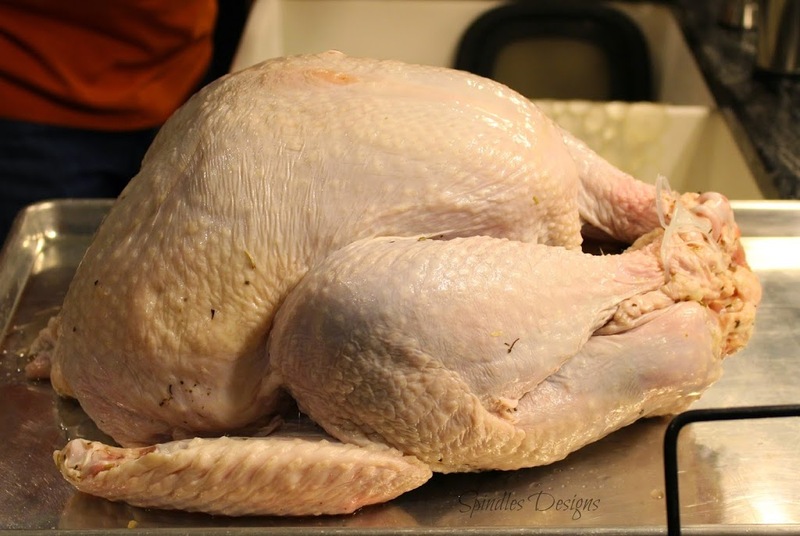 This recipe is for a 20 – 24 pound turkey. 2 tbsp Herbe de province and 1/4 cup dried onions into hot water mixture. Let cool. Pour into a 5 gallon container and add 2 quarts of ice. 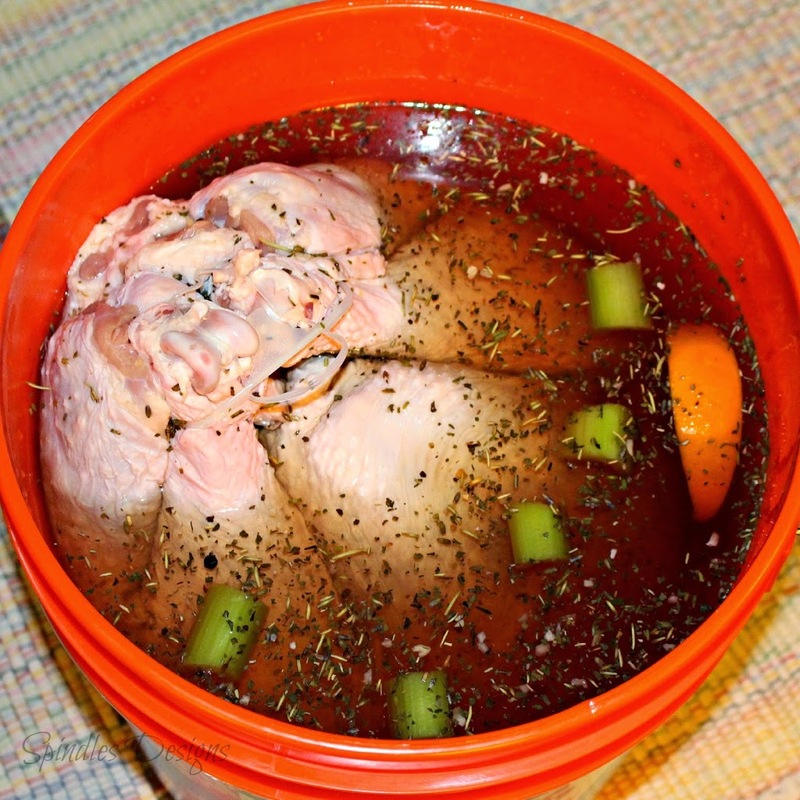 Remove giblets and neck from your thawed turkey and place breast side down into cold brine. Cover to keep submerged. Place in cold garage or refrigerator for at least 4 hours. The longer the time the saltier the taste. 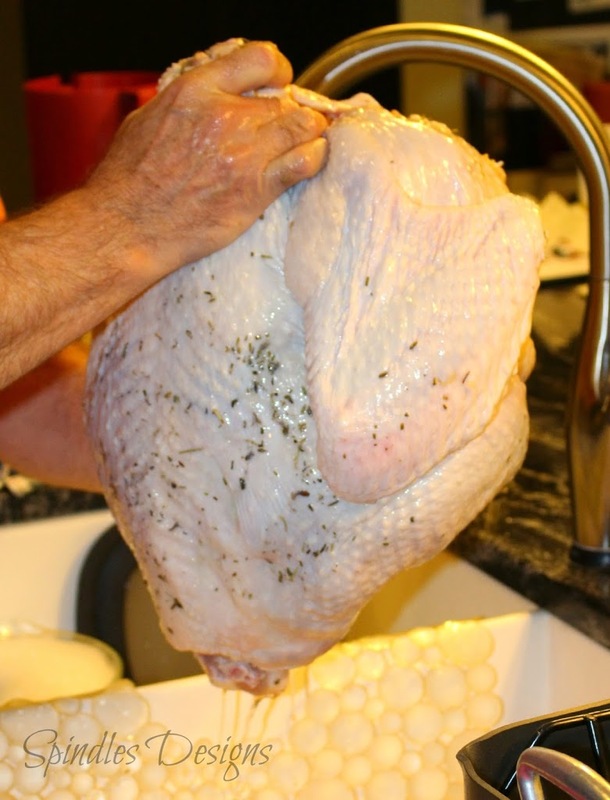 Remove turkey from brine and rinse thoroughly with cold water. Pat dry inside and out with paper towel. Stir together 1 orange cut into wedges, 1 medium onion cut into large pieces, 2 stalks celery cut into 1 inch chunks, 1 tbsp Herbe de province and 2-4 tbsp olive oil (enough to coat everything nicely). Stuff body and neck cavities. 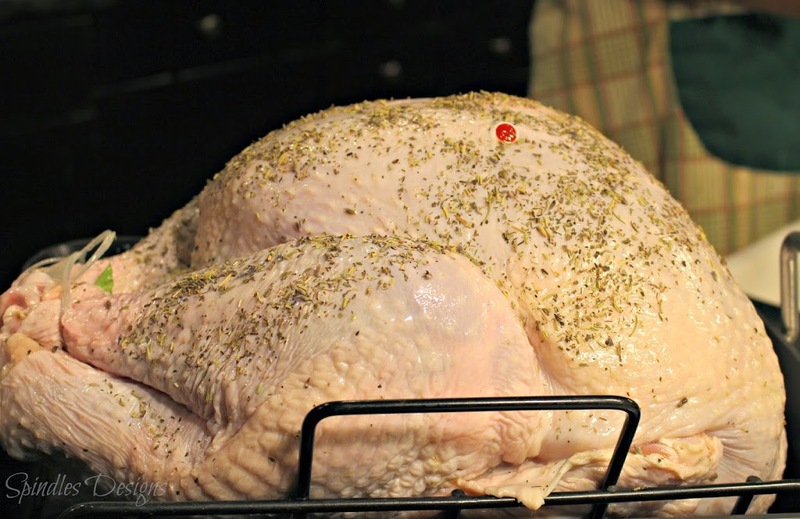 Rub entire turkey with olive oil and sprinkle with 1 tbsp Herbe de province. Bake at 325 degrees until done. If it browns too much make a foil tent and cover. I like the turkeys that have tender timers. Every oven cooks differently and every cook has their own idea of doneness and how to determine it. 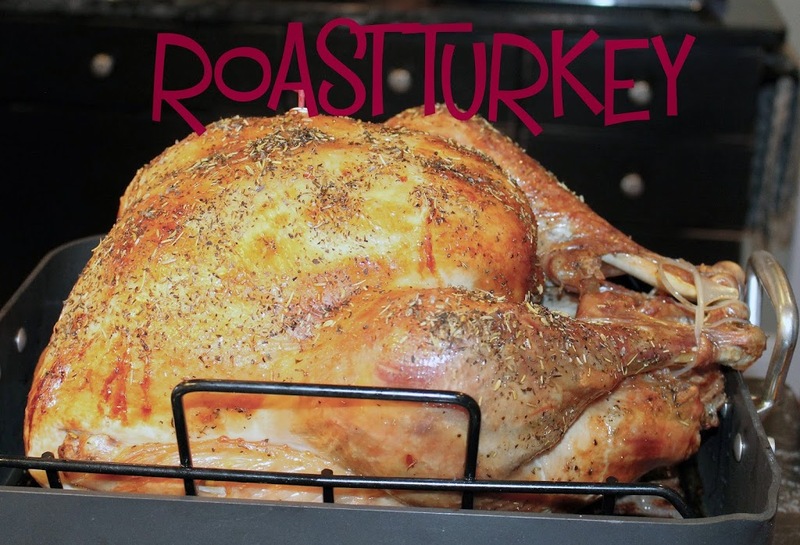 This method makes a tender and moist turkey to enjoy hot out of the oven or later for turkey sandwiches. Enjoy your holiday turkey any time of year.